Fluid processing professionals throughout the United States are switching to the cost-effective industrial pumps from Phantom Pumps to keep their operations running at peak performance. Phantom Pumps manufactures exceptional quality pumps that are compatible and interchangeable with the higher cost industrial pump equipment produced by some of the most widely recognized names in the industry such as Warman, Gorman-Rupp and ESCO Pumps. Organizations are saving money by repairing and replacing worn-out or broken industrial pumps, such as ESCO Pumps LP Series and UP Series, Gorman-Rupp T Series and U Series models, with Phantom Pumps self-priming pumps and replacement parts. The pump experts at Phantom Pumps are always on hand to provide industrial pump selection assistance and guidance to fluid processors. We have a team of application engineers available to help determine the industrial pumps in our line that best match your operation requirements and specifications. 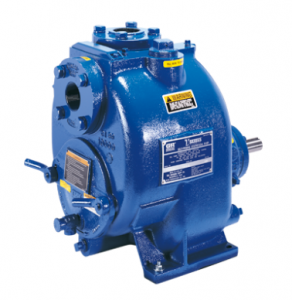 The equipment specialists in our parts department can quickly cross-reference Warman and other name brand pumps to the Phantom Pumps equipment that is compatible and interchangeable with the industrial pumps and parts currently in use in your daily operations. The customer service and technical support our Phantom Pumps Authorized Distributors provide to processors Maine, Ohio, Texas, Virginia, Georgia and states in the surrounding regions is second to none. Our distributors are the experts in the field and offer everything from pumps and replacement parts to installation assistance, 24/7 critical process support and more. Contact us today to request quotes for Phantom Pumps industrial pumps or replacement parts that are compatible with the existing ESCO Pumps or other equipment in use at your processing facility.